The Smart Way Home! Strategic move and storage solutions since 1976. 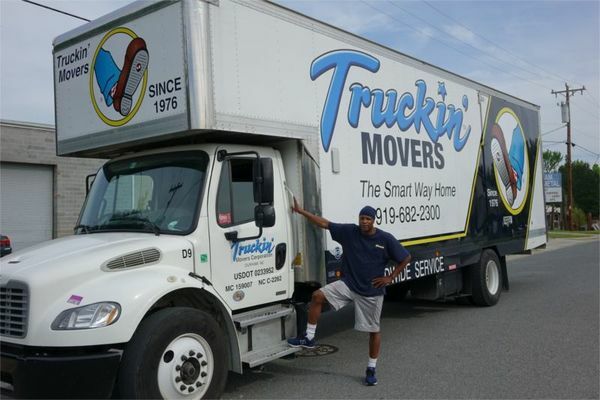 Truckin' Movers is the right moving company for homeowners who are seeking reliable, affordable, and professional local moves. We are based in Raleigh-Durham, NC, the "Research Triangle". A locally­ owned and operated full service moving company, we can offer a guaranteed delivery date as we continue to raise the bar for moving excellence. Our movers are highly trained professional relocation specialists and are dedicated to more than simply moving your items from A to B.. Each client is a unique individual, and as such we offer personal service that goes the extra mile to let you know how much we value your business.